Stop-motion animation, mask-making, rubber monsters and other food for the soul! I´m into it, and if you are too, chances are you´ll find something to like on my little page. I´m born 1974, live in Sweden and have been creative for as long as I can remember. 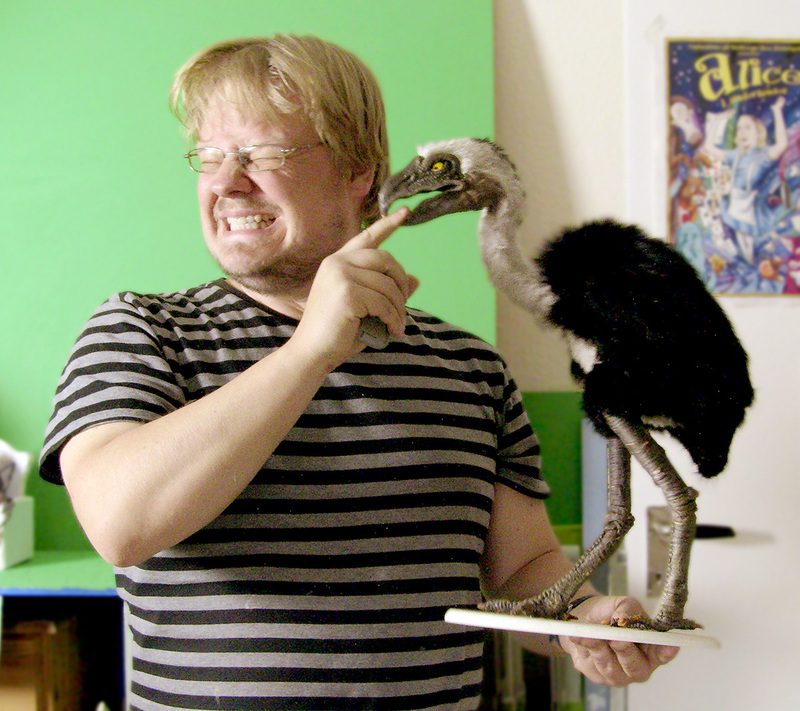 I´m a hobbyist stop-motion animator, amateur film-maker, mask- and prop-maker and cartoonist. I do work for myself, some local theatre groups and some LARP friends. Please browse around. If you see something you´re impressed by you might think ”I like that. I´ll try doing it myself!” That´s good. If you don´t like what I do and think ”This is utter crap. I can do better!” That´s equally good. Just as long as you actually go ahead and DO something!! Don´t shy away from your creativity.